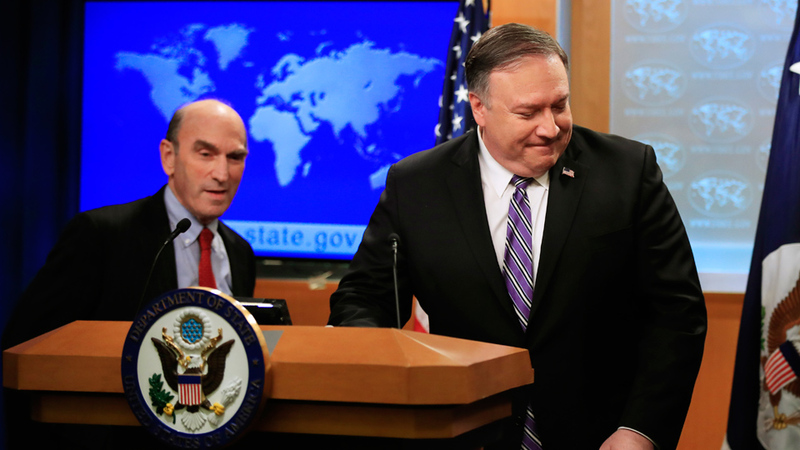 It reveals the deep cynicism of U.S. policy makers that they denounce what they call a dictatorial regime in Venezuela while providing unlimited support to the Kingdom of Saudi Arabia and its murderous absolute dictatorship of the royal family. The U.S. also supports a host of other autocrats, authoritarians, absolute monarchs and dictators in Azerbaijan, Kazakhstan, Tajikistan, Turkmenistan, Bahrain, Qatar, Oman, United Arab Emirates, and Egypt, to name a few. There is no case in which U.S. intervention in the internal affairs of other countries has led to greater democracy and better conditions of life for the people. The economic chaos the U.S. now points to in Venezuela as a justification for intervention is in large part a consequence of U.S. policy, which is designed to provoke popular unrest, sow divisions and precipitate an uprising against the government. Real international solidarity calls upon us to demand of our government: Hands off Venezuela! U.S. Labor Against the War (USLAW) is a national organization of unions and other labor organizations founded in January of 2003. USLAW has organized a network of more than 165 unions, labor councils, state labor federations, allied labor organizations, and labor antiwar committees.